Chief John D. Corn began his law enforcement career in 1989 as a Yukon Police Officer. Four years later he promoted to the supervisor rank of Master Patrolman, which was the beginning of his management experience. Chief Corn promoted through the ranks before becoming Deputy Chief of Police in 2000. In 2012, Chief Corn was promoted to Chief of Police for the Yukon Police Department where he began operational management over all department sworn and non-sworn employees. 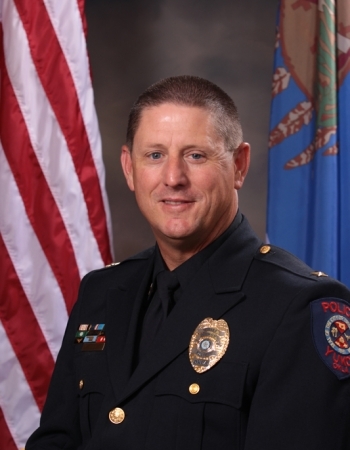 Chief Corn is a graduate of the 187th Session of the FBI National Academy and serves as a member of the Oklahoma Chiefs of Police, International Chiefs of Police, FBI National Academy Association, and the Yukon Community Education Council. He holds a Bachelor of Arts Degree in Behavioral Science from Oklahoma City University and an Associates Degree in Criminal Justice from Oklahoma State University. Chief Corn attended and graduated from Yukon High School. 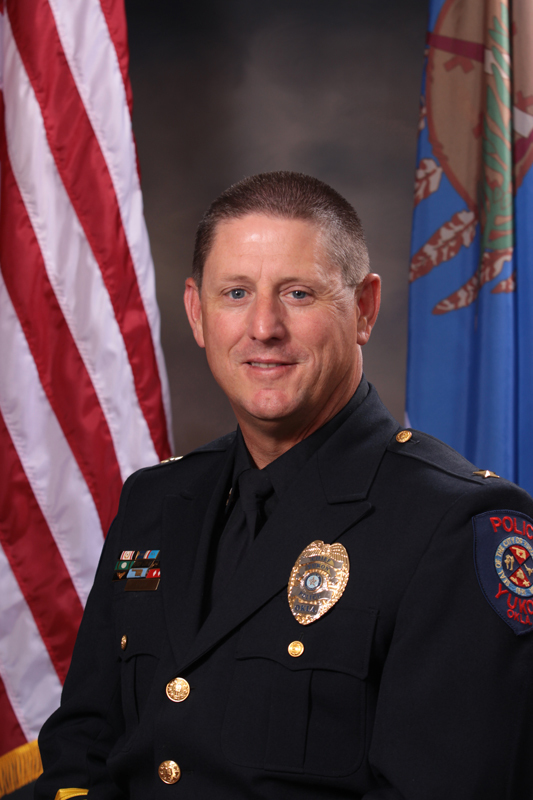 Chief Corn has been certified as a court expert in Collision Investigation and Reconstruction and is an active State of Oklahoma Firearms Instructor. He has been awarded Yukon Police Officer of the Year and City of Yukon Employee of the Year. A certificate of appreciation was awarded to Chief Corn for his assistance during the 1995 bombing of the Alfred P. Murrah Federal Building in Oklahoma City. Chief Corn lives in Yukon with his wife Lisa and son Jordan.